A path to Lawful Permanent Residence status (Green Card) based on your marriage or family relationship. A lawful permanent resident is a foreign national who has been granted the privilege of permanently living and working in the United States. He or she may become a lawful permanent resident based on a familial relationship with a relative who is either a U.S. Citizen or a lawful permanent resident, depending on the respective preference category outlined below. The multi-step process begins with USCIS approving an immigrant visa petition, I-130 Petition for Alien Relative, for the foreign national. The I-130 petition is filed by a relative (the sponsor) and must be accompanied by proof of their relationship to the foreign national. Then, the Department of State must determine if an immigrant visa number is immediately available to the foreign national and whether the foreign national is in the U.S. or abroad. Thus, when an immigrant visa number is available, it means that the foreign national may apply to have one of the immigrant visa numbers assigned to them. You can check the availability of a visa number in the Department of State’s Visa Bulletin. In addition, if the foreign national is currently in the U.S. in lawful immigration status, he or she may apply for a change of status to that of a lawful permanent resident after a visa number becomes available to them. However, if the foreign national is outside of the U.S. when an immigrant visa number becomes available, they must then go to the U.S. consulate servicing the area in which he or she resides to complete the process. 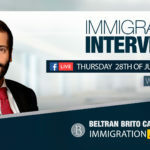 Please feel free to contact Beltran Brito LLP today, where one of our experienced attorneys will be able to guide you through the Family Based Green Card process. Parent, if the U.S. citizen is at least 21 years old. The sponsor must prove that they can support the Foreign National at 125% above the mandated poverty line, by filling an Affidavit of Support which consists of providing tax returns and employment verification documents. The sponsor must be able to provide proof of the familial relationship. Most importantly, if the foreign national wishes to immigrate as a relative of a U.S. Citizen or lawful permanent resident, they must obtain an immigrant visa number based on the preference category in which they fall as previously mentioned. The Preference System: Family based immigration is based on a category preference system. Immediate Relative of U.S. Citizens: Parents, Spouses and Unmarried Children under the age of 21, do not have to wait for an immigrant visa number to become available once the visa petition filed for them is approved by USCIS. An immigrant visa number will be immediately available. 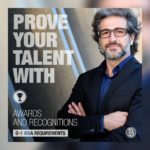 All other relatives in the following categories must wait for an immigrant visa number to become available according to the monthly Visa Bulletin published by the Department of State and yearly immigrant visa quotas. Fourth Preference: Brothers and sisters of adult U.S. Citizens. For a detailed overview the eligibility requirements and procedures for Marriage and Family based Green Cards please contact Beltran Brito LLP for a step-by-step explanation of the process.